Stock trading can be categorized into 2 basic types of trading: Swing trading and Day Trading. 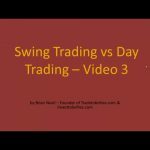 The term “swing trading” can have different meanings to different traders. So this term really needs to be clarified and the different meanings understood. 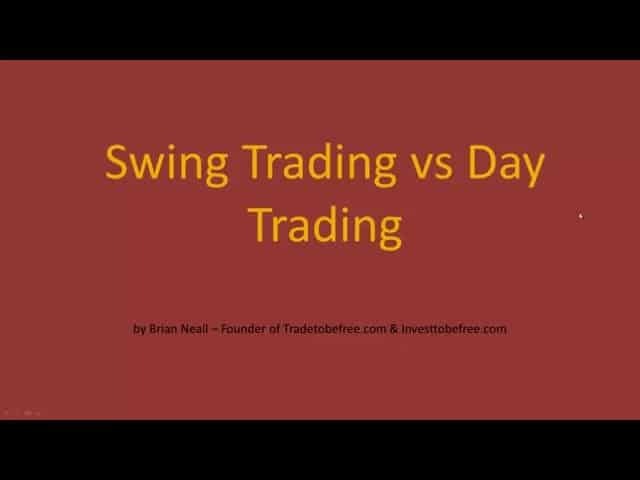 Questions you need to ask yourself include: which type of trading is best for me – Swing Trading or Day Trading? How much reasonable profit potential exists for both swing trading and day trading in the era of high frequency and algorithmic trading? And how much time is required to swing trade and day trade and how long will it take to master each and be consistently profitable? After 13 years of successfully trading stocks and using both techniques, I can give you a good answer to these questions.